Do Injury Prevention Programs Really Work? October 22, 2018 /in Health, Safety, & Security /by strategic HR inc.
We’ve experienced an increase in work-related injuries this year. Do injury prevention programs really work? The answer is a resounding YES! Quality onsite injury prevention programs accomplish over a 50% reduction in musculoskeletal recordable injuries and the associated cost along with a 30% reduction in non-work-related musculoskeletal issues. This is a key point as you begin to look at the various injury prevention programs because many employers do not realize the level of impact preventative measures could have on their business. Injury prevention programs return a significant ROI in many different industries and with employers of all sizes. The value of an injury prevention program extends way beyond the dollars and cents impacting the lives of your employees and changing the culture of your organization. Evaluate OSHA logs and look at the frequency of your musculoskeletal injuries or sprains and strains. What is the % of your recordable injuries that fall into these categories (Contusions, sprain/strain, slip, trip or fall)? Look with an outsider’s eye at the culture of your organization and try to be objective. Is there a focus on early reporting without consequences? Are there other programs in place such as ergonomics teams, safety teams or cross functional groups that look at injury prevention opportunities? Do you have a significant number of employees out for non-work related musculoskeletal issues? Does this create strain on your workforce in any way? Do you have a high amount of injuries with newly hired employees? Evaluate your operations for work that is physical and or repetitive. Do you have one or both? If you answered yes to these questions above or if you feel like you would like to change any of your answers, an Onsite Injury Prevention program may be perfect for you. Injury prevention programs are best operated through third party companies whose interest totally aligns with one of preventing employees from becoming patients. Furthermore, a quality injury prevention program should focus on the leading versus lagging indicators to an injury. The best programs focus on ergonomics, human movement patterns and early intervention for minor soreness’s in the space where work is occurring or “on the floor”. A properly infused program can be magical for organizations and can have a significant impact on bottom lines, injury rates as well as employee morale and retention. Don’t let preconceived notions about programs not working or being too expensive stop you! A special thanks to Tom Ernst, PT, MPT, OCS, COMT with Oxford Physical Therapy, a client of strategic HR inc., for responding to this question for us. If you are evaluating your business for an onsite injury prevention program, we’d encourage you to reach out to Tom to learn more about Oxford at Work. Tom can be reached at tom.ernst@oxfordatwork.com or 859-240-4761. Oxford at Work’s goal is “Keeping your employees from becoming patients.” To learn more, check out this video (password: 50%reduction). 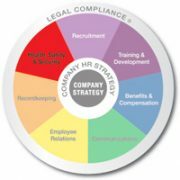 strategic HR inc. is an outsourced HR management firm that works with many businesses of all sizes and industries. We all have similar needs across the HR spectrum and in general in running our businesses. Please keep strategic HR inc. in mind as a strategic partner for your business. We are just an email (info@strategicHRinc.com) or phone call away (513-697-9855). Does an Overnight Stay in the Hospital Qualify for FMLA?